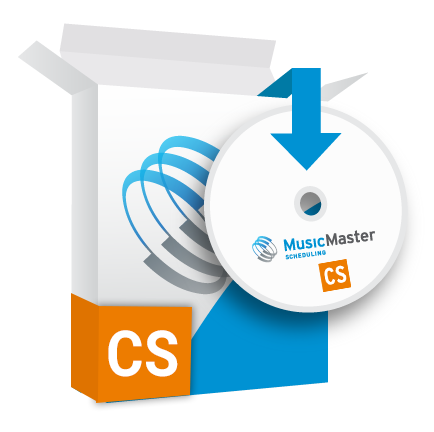 MusicMaster CS delivers the next big solution for medium to large organizations with many users and stations. CS especially benefits groups that schedule multiple stations with overlapping content in the same or multiple markets. Instead of storing and maintaining multiple instances of the same data, our new Enterprise-Ready Database makes a single instance available to any stations that need it. 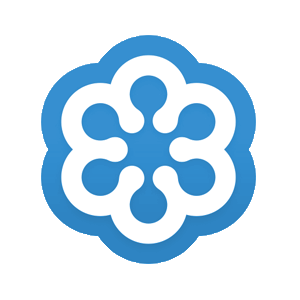 All of the business intelligence and processing power is contained in a central server, while users simply access their live program data through their client application - wherever and whenever they need it. Users can either take advantage of shared values or add their own station-specific attributes. Even on a smaller scale, Program Directors who manage more than one station will benefit from a more streamlined enterprise experience. They can ramp up their workflow by operating multiple instances of CS at once to manage multiple stations, and even set up a batch of stations to schedule one after the other. With its SQL Server-based structure, CS can be used with good performance across both local and wide-area networks. All of the software's intelligence is stored in one location, where all of the processing tasks take place. This means users will enjoy optimum performance no matter their own network or system limitations. Field Overrides - This allows you to have a “master” field value but give the element a specific value in a specific station. Multiple Category Assignments	- Now, the same song can be added to multiple categories at once, rather than being duplicated in your library. Rule Tree Folders for Category Groups	- Any Category Group you create will automatically generate a Rule Tree folder, where you can then apply specific rules to that Group. Multiple Station Scheduling	- Save time and free yourself for other tasks. You can now set up a batch of stations to schedule at the same time or consecutively. Automated Tasks	- Set up and schedule tasks to occur automatically, such as backing up or purging the database, archiving history, running the automatic scheduler, or doing library sync to bring in information from third-party vendors. New in CS 2.0: Additional tasks include Export to Automation, Reconciliation, and Import from Network. Unicode Support	- CS includes support for unicode characters to better represent the symbols used in most of the world's languages. Notifications	- Have the program notify you when certain events take place, such as when changes are made to the library, songs are deleted, or users are added. Change Log	- Who did what when? Let the Change Log be your guide to what was altered in the data. Individuals - Determine not only what features a user can access in a station, but which station they can access as well. Groups - Set up a group password and apply that to applicable users once rather than setting up individual passwords. Internal Designers	- Access the export designer for the library, editor and the virtual break editor from within the program. Even More Customization - Pick the user interface Theme that works for you. Change the look and order of windows, frames and tabs to better meet your workflow. Connectivity - The MusicMaster Nexus API allows you to access your library and schedule data directly from third party applications. Backward compatibility allows Nexus-based interfaces built for previous versions of MusicMaster to work with CS automatically. Extensibility	- This new architecture allows MusicMaster to build additional types of Clients in the future that will support other operating system platforms, web browser and mobile devices. Run From the Server	- New in CS 2.0. Now you can run key functions like Export to Automation and Import/Export options from the Server, eliminating pathing issues from the Client. You'll still have an option to run these from the local drive, just in case. Run Multiple Instances	- New in CS 2.0. An option is now available to allow you to run multiple instances of the Server for load balancing or redundancy. When operated on a LAN, all instances of the CS Server will automatically stay in sync with each other.